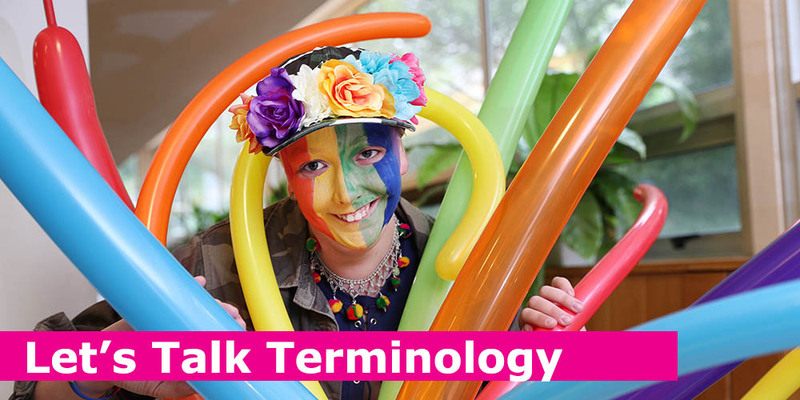 LGBTI+ terminology can feel like a minefield when you have no previous knowledge, and terms change over time. We have put together a glossary of common words to get you started. Please remember that the best way to determine someone’s preferred identity or pronoun is to simply ask them. LGBTI+: Lesbian, gay, bisexual, trans+ and intersex people. Lesbian: A woman who is mainly attracted to other women. Gay: Someone who is mainly attracted to people of the same gender. Bisexual: Someone who is attracted to people of the same gender and also to people of other genders. Intersex: People who are born with variations in their sexual anatomy or their hormonal patterns, variations that are not seen as fitting in with typical male or female bodies. Sexual Orientation: Sexual and romantic attraction. Heterosexual: Someone who is attracted to people of a different gender. LGBTI+ bullying: Bullying based on prejudice or discrimination towards LGBTI+ people. Pansexual: Someone who could be attracted to any person, regardless of their gender. Gender expression: How we show our gender through our clothing, hair, behaviour, etc. Cisgender: Someone who is not transgender or non-binary. Non-binary: People whose gender identity is not exclusively male or female. Some non-binary people use they/them pronouns.